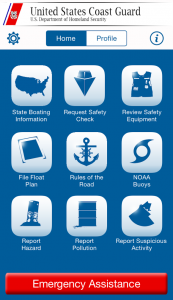 The United States Coast Guard recognizes that by working together with other agencies, it will better accomplish its mission of minimizing the loss of life, personal injury, property damage, and environmental impact associated with the use of recreational boats, while maximizing safe use and enjoyment of U.S. waterways by the public. The Coast Guard has formally established a cooperative agreement with the National Association of State Boating Law Administrators (NASBLA), a professional association consisting of state, commonwealth, and provincial officials having responsibility for administering and/or enforcing state boating laws. The Memorandum of Understanding Between the Coast Guard and NASBLA formally validates this cooperative partnership. The Coast Guard has also signed a Memorandum of Understanding for the Employment of the U.S. Coast Guard Auxiliary in Support of the National Recreational Boating Safety Program. This agreement institutionalizes Coast Guard Auxiliary involvement in the Boating Safety Program.